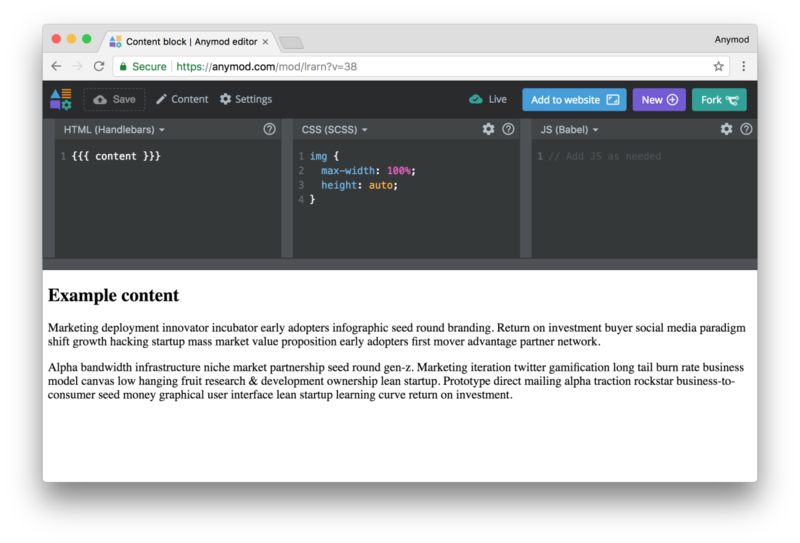 In this example, we'll make an existing piece of content on a website editable through Anymod. 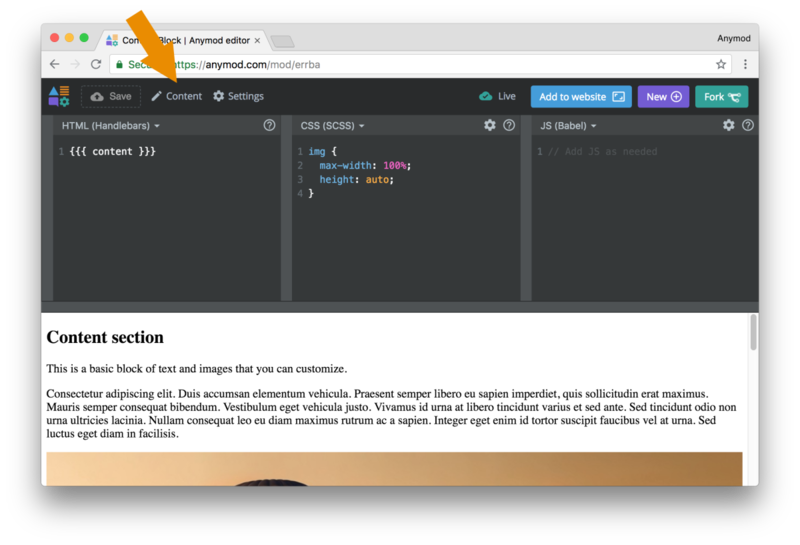 If you have a block of content in mind, find the file for it in your code base and also open the page with your browser. In the Anymod dashboard, click New Mod and then choose the "Content block" mod. Or you can clone the content block mod here . We're using a simple "Content block" mod for this example, but you can use & customize any other mod to have editable content too. See the mod library for more options. This will let you edit the content in your new mod. Delete the existing content and replace it with your own. 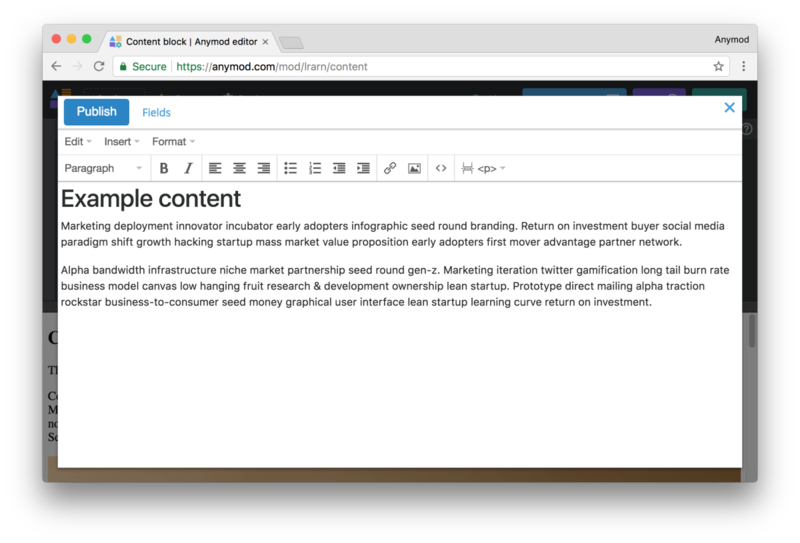 Click the Publish button to publish your new content. Find the content in your page's HTML, and replace it with your mod tag. Be sure you have added the Anymod script to the top of your page as well. Learn more about setup here. Your page should look the same as before, but now you can see a pencil on the right side of the page whenever you're logged into Anymod. Click the pencil and then select your mod to make live edits directly from your page. 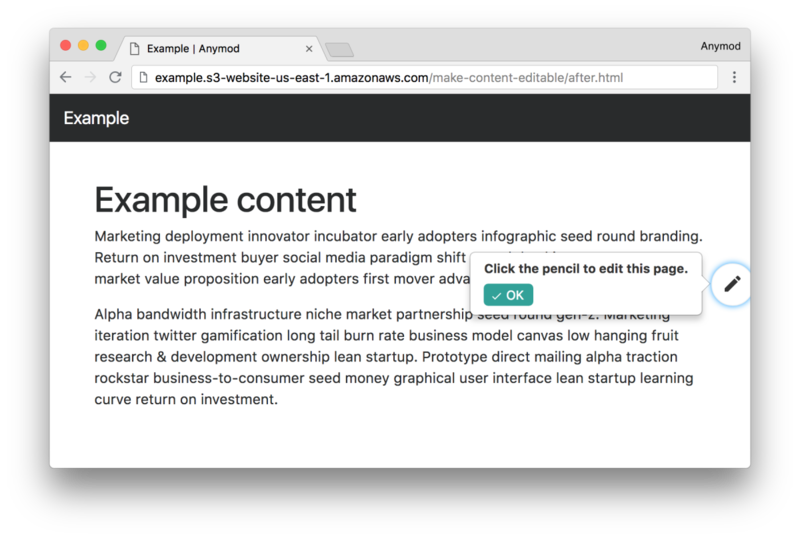 The editor pencil will show on your web page whenever you're logged in to Anymod. It won't show for your site visitors. To allow others to make edits, you can either add them to the project on Anymod, or you can create a draft and send them the link to make edits.